What is Frangipane? 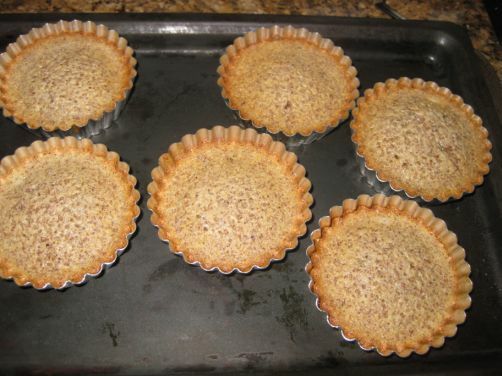 Frangipane is a sweet almond filling pastry cream traditionally made with almond flour (meal) along with sugar, butter, and eggs. Almond flour or meal is blanched almonds that are finely ground and can be found at health food stores or at Trader' Joe. 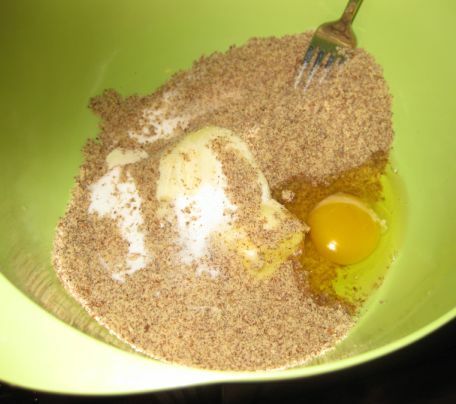 If you cannot find it you can make your own by taking about 1/2 cup of blanched almonds (along with the flour in the recipe) and processing these two ingredients in your food processor until finely ground. 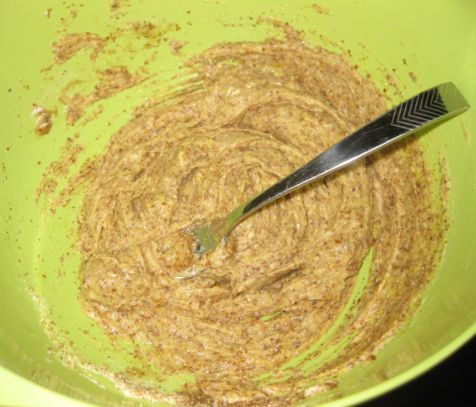 Just make sure not to over process this mixture as it needs to be finely ground but not a paste. 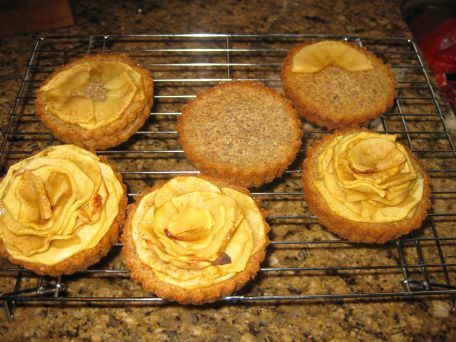 Once made, the frangipane is then spread over the sablé cookie and is used not only for its wonderful flavor but it also acts as a shield to prevent the apple juices from penetrating into the crust. 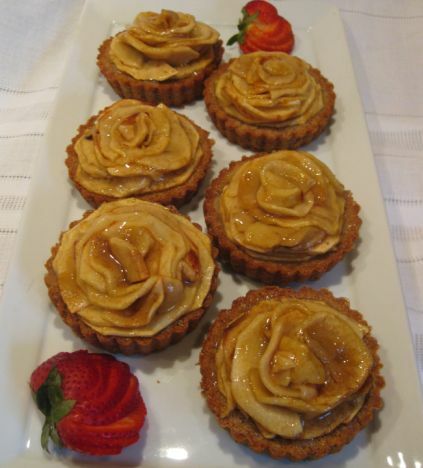 These tartlets look so stunning that it is almost a crime to eat them! 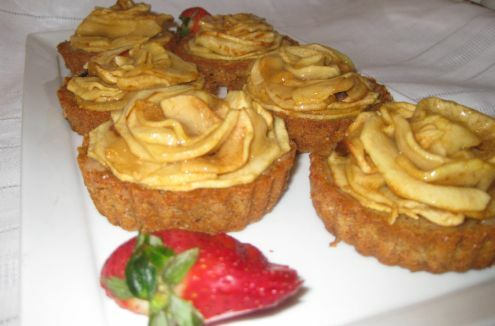 Apples are one of the more versatile fruits that are enjoyed both in baking and eating out of hand. 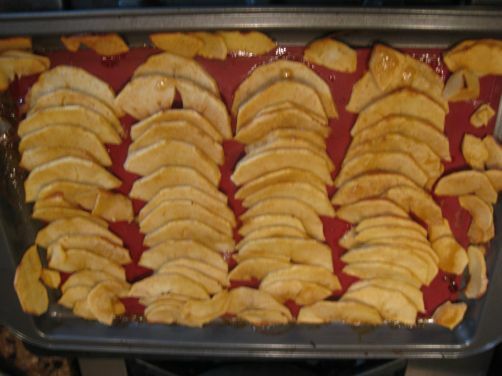 In my house, I always have at least 4 or 5 apples at all times for snacking and if they are not eaten right away I often find a way to used them for my baking needs. 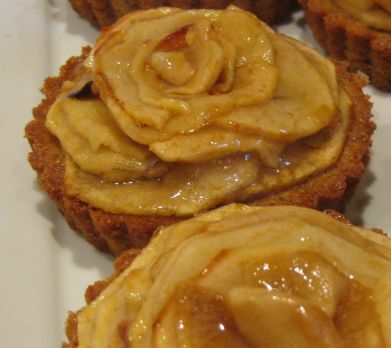 Close look at the apple Frangipane tartlets. ..until smooth and then refrigerate for 20 minutes or so. For the crust I used the sablé cookies dough but I just cut them a lot bigger (3 inches) to fit into my ring molds. 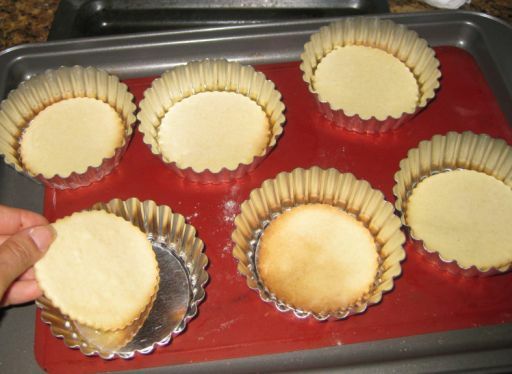 Here I am lining the bottom of my mold with a baked sablé cookie. 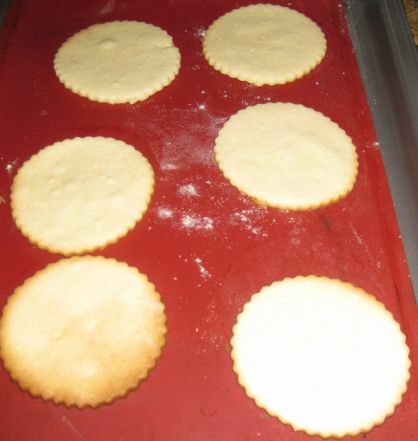 Here I am adding the frangipane mixture on top the sable cookies. 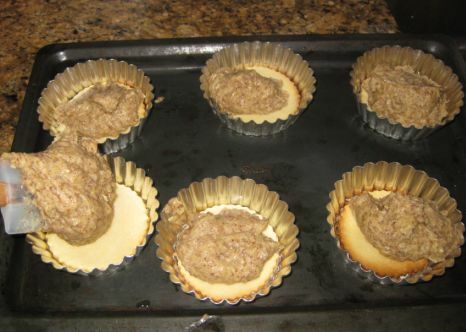 Coming out of the oven after 20/25 minutes of baking. 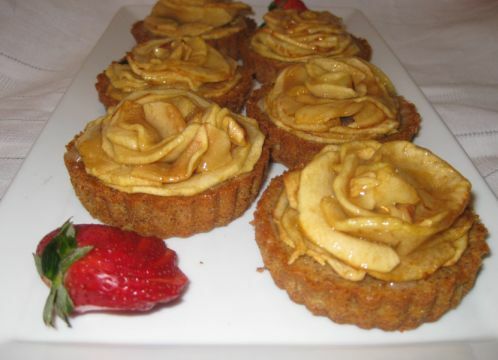 I am arranging the apple slices as rose petals. 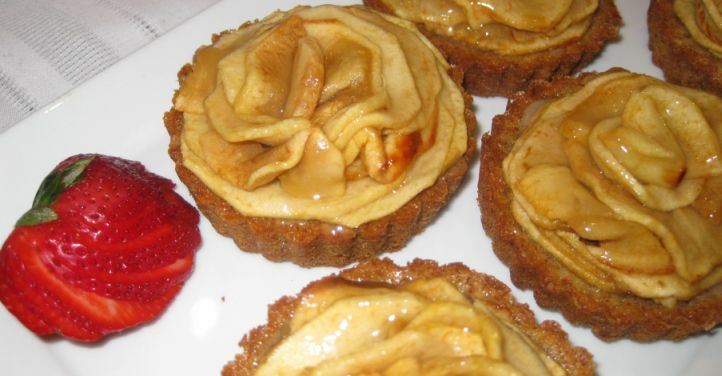 Once I am done with the arrangement, the tartlets are refrigerated until ready to be served.